Brooklyn Bridge by Henri Silberman W & G Portfolio. 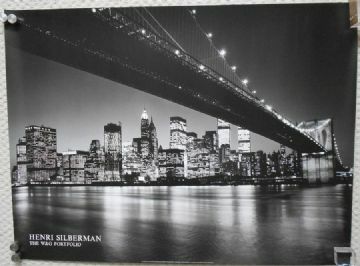 Brooklyn Bridge by Henri Silberman, W & G Portfolio. Brooklyn Bridge Print by Henri Silberman, measures 31.5" x 23.5" in fine- rolled condition. It has tiny edge wear.